The passage of the millennia has brought us traces of ancient civilizations that shone enough to make their cultural glimpses last through the ages. Humanity itself has featured in the art, culture, and funerary rites of these civilizations, so while from a mollusk we only find a trace of fossilized shell, from a human we find much more than just remains, we find pyramids, mounds, sculptures, coins, tools, weapons, scripts, treasures, houses, palaces, altars, and more. All of this, in light of archaeology, allows us to know more about our ancestors. But for some of them, like the Thracians, what has been discovered barely casts a shadow over what is still unknown. 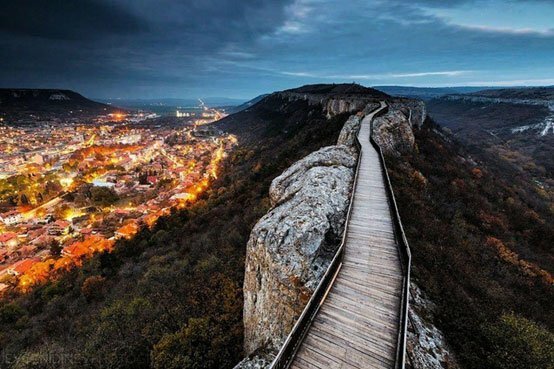 There are many mysteries surrounding this ancient civilization that occupied what is now Bulgaria and some adjoining parts of Romania, Greece and Turkey. In archaeological terms, evidence of civilization in Bulgarian lands date back thousands of years. Not coincidentally it was found in Provadia (Bulgaria) the oldest prehistoric city in Europe, dated between 4,700 BC and 4,200 BC, a fortified settlement of 350 inhabitants. On the other hand, we know that for years the world's oldest golden treasure was not found in Sumeria, nor in Egypt, nor in pre-Columbian America but in Varna (Bulgaria), and dates from 4,600 BC. Provadia, Bulgaria. Photo source . Scientists and archaeologists still harbor serious doubts about who the people were that mixed with the Thracians around 5,000 years ago, from which Thracian civilization itself would emerge. But it is known that there were some who came from the North to the Balkans with their livestock, finding a place with a bright and attractive culture. It was the intermingling between the local population and the new arrivals that allows us to talk today of the Thracians. The Thracians are well-known for their exuberant fighting spirit; but the history of a population is not built only on its wars and the exploits of its soldiers and leaders, as it is usually read in encyclopaedias and history books. Spread across Southeast Europe were groups of men and women who were highly skilled in working with refined metals, who were followers of a delicate mystique that worshiped the mother goddess, and who had complex funerary rituals immersed in symbolism. There are many puzzles that arise when we investigate the ancient Thracians. For example, they had a rare ability for discovering and extracting natural deposits without harming nature. Archaeologists and anthropologists continue to be surprised by the kinds of advanced technological practices that the Thracians were using. If, as some scholars believe, they were intermingling with the people who inhabited Bulgarian lands since ancient times, they presumably exchanged knowledge, and their wisdom swelled as they incorporated the skills, practices, and information of the other culture. So what mysteries remain from the first Thracians over 5,000 years ago? Although we know of some Thracian names and words, apparently they lacked their own alphabet and came to use Greek and Latin characters to perform certain inscriptions. However, this Indo-European language spoken by the Thracians is still a mystery and no one has been able to decipher it... yet. Some bilingual inscriptions in Greek characters written in ancient Greek and Thracian that were discovered in northern Greece could perhaps shed some light in helping to decipher the contents of the Thracians texts, something that certainly would reveal important information about the people of whom we still know hardly anything. 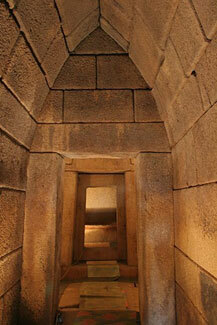 The Thracian burial rite is one of the most compelling evidences of belief in the afterlife and immortality of the soul. 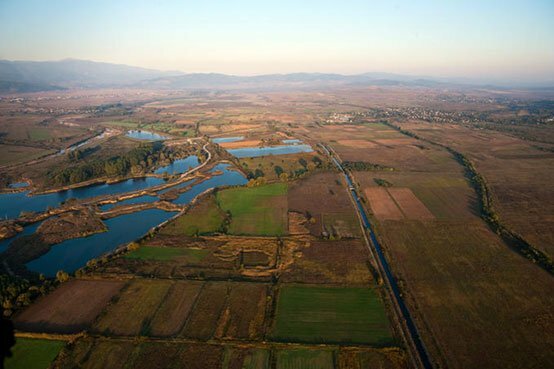 The Valley of the Thracian Kings is in the region of Kazanlak, where we can find several grave-mounds, making this area a real route of the funeral ritual (over 500 burial hills). We are in the realm of the Odrisios (fifth century to the fourth century BC), ruled by the King III Seuthes. Their mounds did not reach the colossal size of the pyramids of Egypt, but the Thracian funeral process had many things in common with the Egyptian one, not least the idea of resurrection and an afterlife. We drove to the ancient necropolis of the city of Seuthes III, called in those days Seuthopolis and headed to the mound-tomb of the King himself. The remains of Seuthes III were buried with his horse and his weapons, and a bronze statue of his own image that had been placed in a special chamber of the tomb, according to the Orphic funeral practices. Thus, we are reminded of Iberian funerary rituals in which the warrior was buried with his weapons but placed in a way that neutralized them, rendering them completely unusable. Why? The texts of the ancient Greek geographer and historian Herodotus shed light on this mystery. He claimed that whatever was destroyed or made unusable during funeral rites would become useful for the afterlife. The logic of this philosophy is overwhelming and beautiful, from my point of view. If the human being whose life was destroyed with the advent of death, was meant to revive in the Hereafter, so the objects had to ‘die’ to revive again. Death was considered to be the beginning of a new life. In this passage, the spirit of the deceased travelled to reach the heavenly abode where they would stay. On this trip, they needed to carry everything they would need. The most valuable thing for the elite of the Thracians warriors was their horse and their wife, though we do not really know in which order! So not only did they sacrifice their horse, but also their favourite wife. Was it cruel? If, as the ancients used to say, the Thracians wept at births and cheerfully sang at their deaths, far from being a cruel act, the Thracians probably considered it an honour. In fact, wives are said to have argued over who would have the honour of being the chosen one. As the Greek poet Hesiod said: “ When a husband dies, his wives, which are many for each one, argue in competition held by the determination of those who are their close friends and relatives, and claim them to be the deceased husband’s dearest one. The wife who comes out victorious and honoured with a judgment in her favour, which is full of praise and applause of men and women, will be beheaded by a kin hand over the grave of her husband and is buried beside him, while the ones who lost the case, that is for them the greatest infamy, remain mourning they misfortune”. 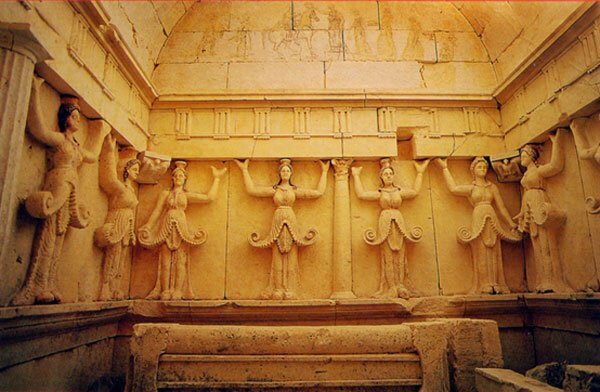 Featured image: Thracian Tomb, Sveshtari. Photo source . * This article was originally written in Spanish and has been translated. Alkidamant - " Here Thracians laid Orpheus - the priest of the Muses ... who found for people the letters and wisdom " . (D.Popov, Greek intellectuals and Thracian world, Lick, Sofia, 2010, p. 465). We see that even Greek authors had the courage and the courage to tell the truth in the face defining Thracian Orpheus as creators of letters ..."
"Diodorus Siculus also claims that the Thracians Orpheus and Linnaeus used the most ancient alphabet. Old author says also that not the Greeks and Pelasgians were the first to use kadmeyskite (Phoenician) letters and are therefore called Pelasgian ( Historical Library of Diodorus the Sicilian , W . Mc Dowell , London1814 p. 208). I would remind you that according to Georgiev Thracians and pelazgi are a community whose presence in the Balkans since the Neolithic - VII -mo hil.pr.Hrista. According to Pliny the Elder, not the Greeks and Pelasgians those who spread the alphabet until Latium (home of the Latins in the Apennine Peninsula) - Naturalis Historia - VII - LVI -193. " The Thracians DON'T have alphabet and this book is nothing near to historical accuracy. The Greek civilization is NOT based on anything Thracian or even anything from the Varna culture. The Thracian topic is not a taboo at all - scholars are working on it with a good pace in many countries. And yes, the majority of the Thracian population was situated on the territory of nowadays Bulgaria. That's a historical fact. It should be noted that the Varna culture can't be called Thracian, at least because it predates the first written sources about the Thracians with a couple of millenniums. As a whole applying any ethnonym to a population from the 5th millennium BC is really adventurous. Also the citation in the end belongs to Herodotus, not Hesiod. Very unusual article. The topic "Thracians" is a great taboo for so long. Many people who called themselves historians must explain that the "great" Greek civilization is actually based on the civilization that appeared to be local for the Balkan peninsula and that the ancient Greeks are only colonizers, adopting every aspect of the local culture. The Thracians are the Bulgarians.